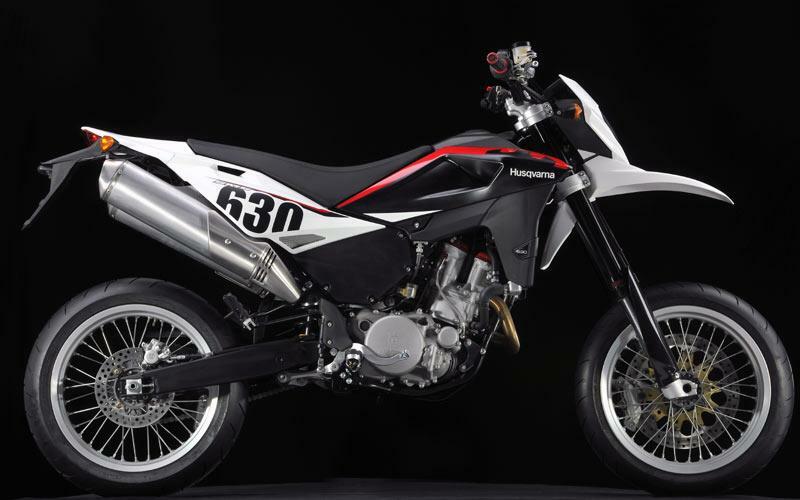 We’re in Italy riding Husqvarna’s two new road bikes: the SMS630 supermoto and TE630 enduro-styled machine. Both bikes have new motors with twin-cam heads a capacity hike from 576cc to 600cc and a hydraulic clutch. The chassis and bodywork are all-new and the plastics have their graphics impregnated into them, so gone are the days of blowing off your stickers with a jet wash. There are no screws holding the bodywork, which makes it easier to get it off – and it looks better too. The SMS630 supermoto comes with firm suspension, 17” wheels and big brakes and the TE630 has knobbly road tyres and long travel suspension. 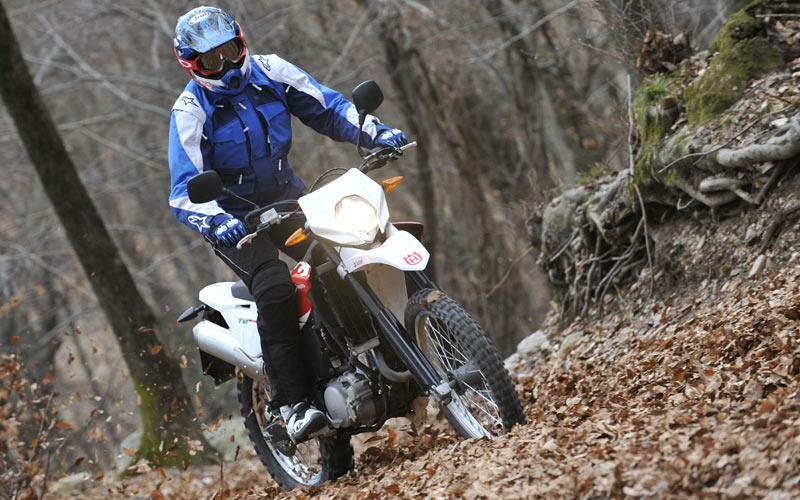 With BMW at the helm of Husky for the last two and a half years, build quality and reliability are much improved. It’s soft and friendly for normal riding and the new plush seat won’t hurt your rear for at least two hours of riding. The old SM610’s seat was rock hard and assaulted you after two minutes. On the switchback mountain roads we rode on it handles excellently and the radial Brembos are globe-stopping. You get all the usual supermoto kicks and it’s crossed-up wheelie heaven on the right roads. But just like any mid-capacity, single cylinder supermoto, it prefers tight and twisty roads and small straights, anything else and it’s a bit pointless. It should like town riding, but the throttle is really snatchy at low speeds. You need to ride the clutch for smooth riding. 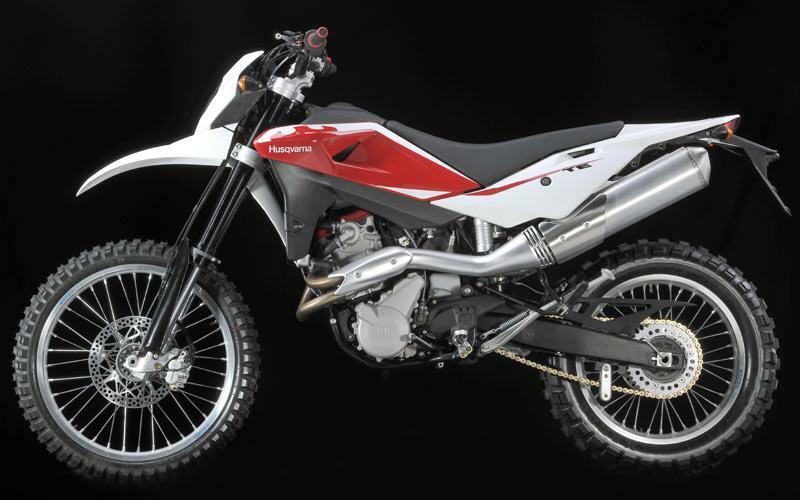 Husqvarna say this could be down to the bike’s lack of cush drive and quick action throttle. It also stalled a lot at traffic lights, which they say could be down to set-up, but this should be addressed for UK bikes. With its bouncy, long travel suspension and chunky tyres, the TE only makes sense around town or on small roads. It too is blighted by the same poor throttle response and its soft suspension exaggerates the kangarooing effect of the snatchy power delivery. It stalled a lot more too. Off road, it was excellent, though and handled the gentle mountainous woodland trails we encountered on our test. 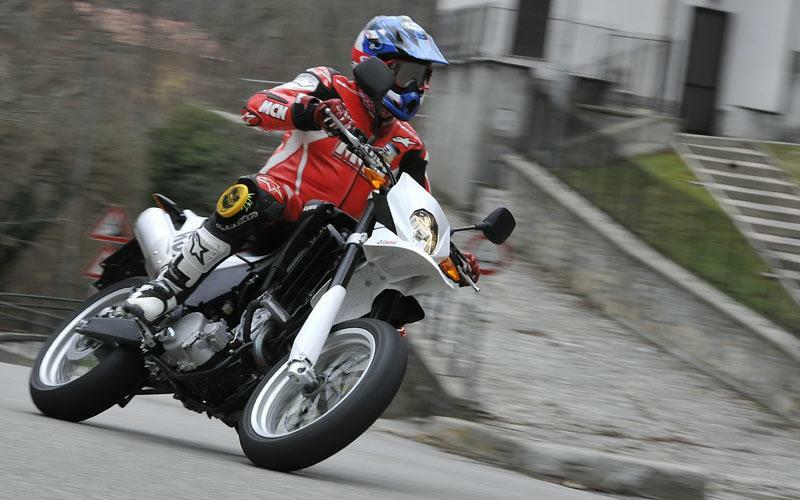 It’s more fun for more of the time than the supermoto, though and I enjoyed riding it more, which surprised me. Husqvarna Nuda 900 – first ride!